Urban Bird was a graduate of the University of Georgia with a major in Chemistry. A position in his field of chemistry brought Urban to Unicoi County with his wife, Damie, and their three children. At the peak of a successful career, Urban felt the call to be an artist. He resigned and studied at the Art Student's League in New York City under instructors John Howard Sanden and Daniel Greene. Sadly, Urban passed away in 2017. Bird created art and taught techniques in oil, watercolor, pencil, and pen and ink. He painted portraits, seascapes, and landscapes. 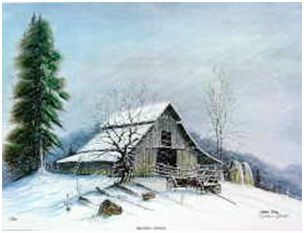 He taught his own art classes for over 35 years in Johnson City, Tennessee. Many Northeast Tennessee artists owe their start to this dedicated, beloved art teacher. His successful students can be found all across the United States and beyond. Today, Urban Bird's work is becoming highly collectible.